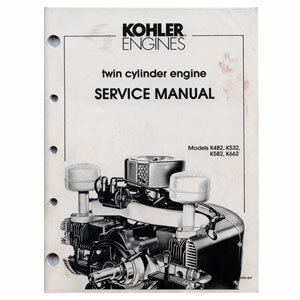 This manual covers Kohler engines K482, k532, k582, k662. Ask us about the Kohler ENS607 K582 SERVICE MANUAL. Please no repair questions. Your Q&A may be posted to Jackssmallengines.com to help other shoppers, like you, with their purchasing decisions. Thank you.